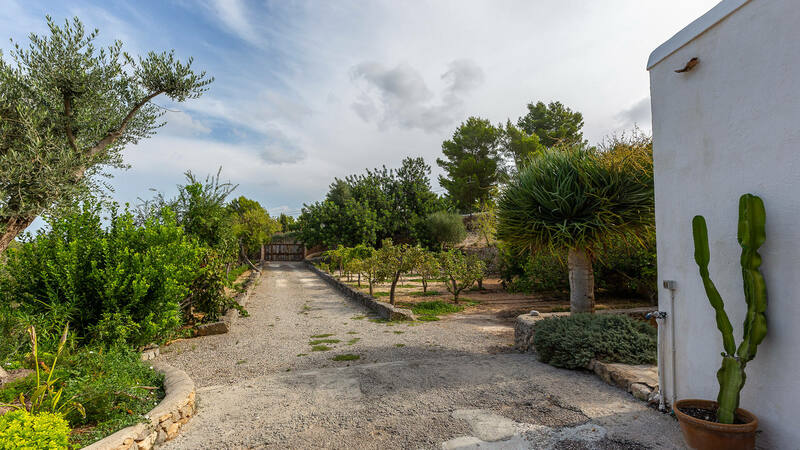 Very nice finca located 300m from the beautiful little village of San Agustín, 4 Km from San José and 20 Km from Ibiza town. All beaches on the west coast are within a radius of 10 km. 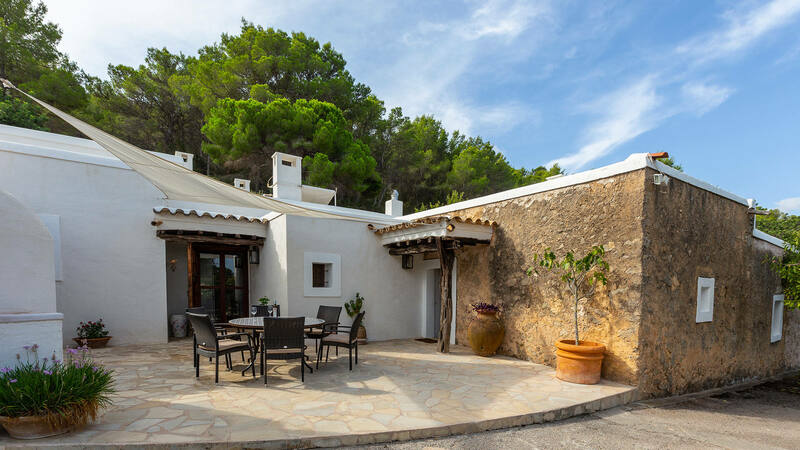 You will enjoy the charms of this small village typical of the island, while having the impression of living in the countryside. 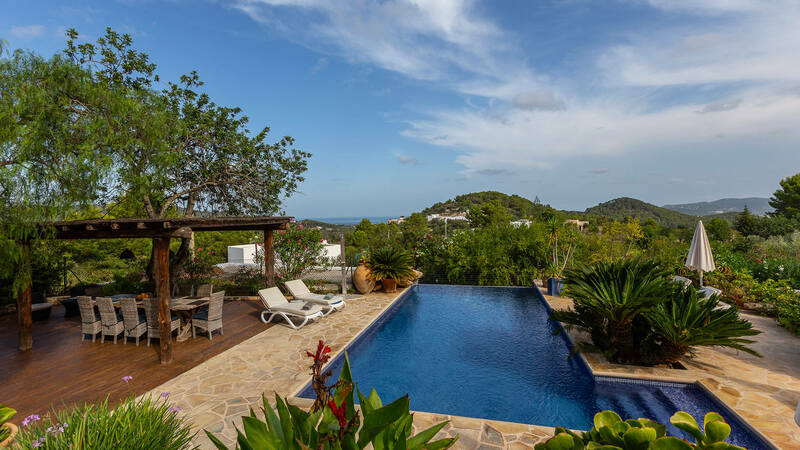 Cala Tarida is a 5-minute drive away. 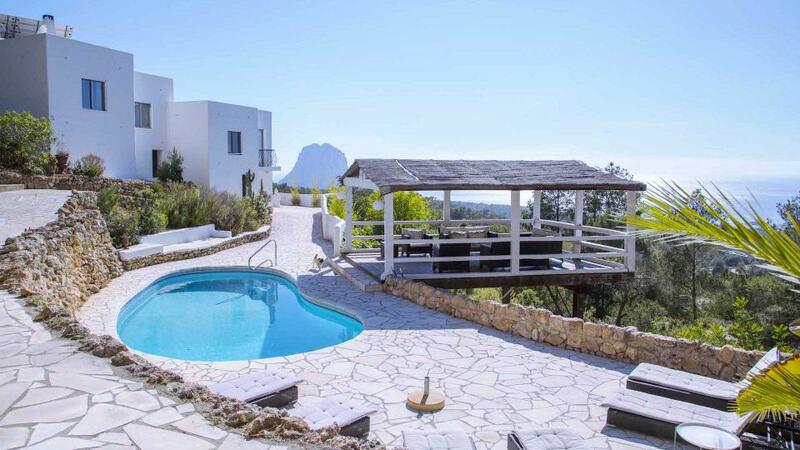 A perfect place for nature lovers. Room, Ground level. This bedroom has 2 twin beds. Bathroom outside the room, shared, With bathtub. Room, Intermediate floor. This bedroom has 1 double bed Queen size. Bathroom ensuite, With shower. Room, Garden level, in another building. This bedroom has 1 double bed Queen size. Bathroom ensuite, With shower. Entrance with porch furnished in outdoor dining room. Large living room with TV and DVD player. Other living room dining room with access to the pool terrace. 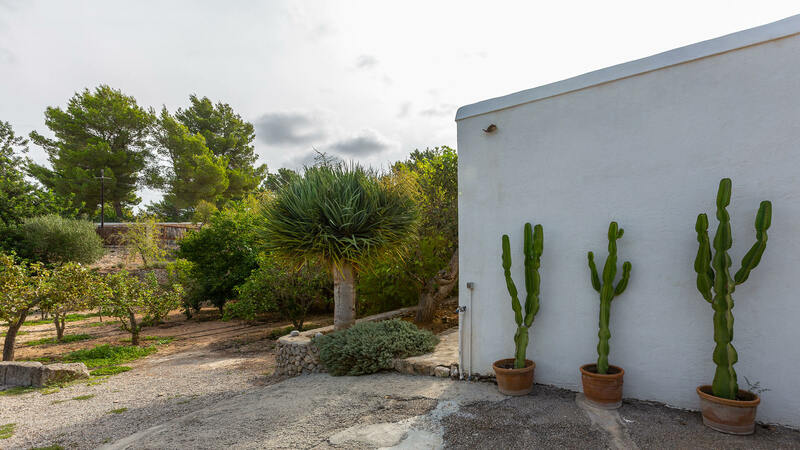 Large kitchen complete with dishwasher, microwave, ceramic hob, fridge freezer, small reserve, and access to another terrace with built barbecue. 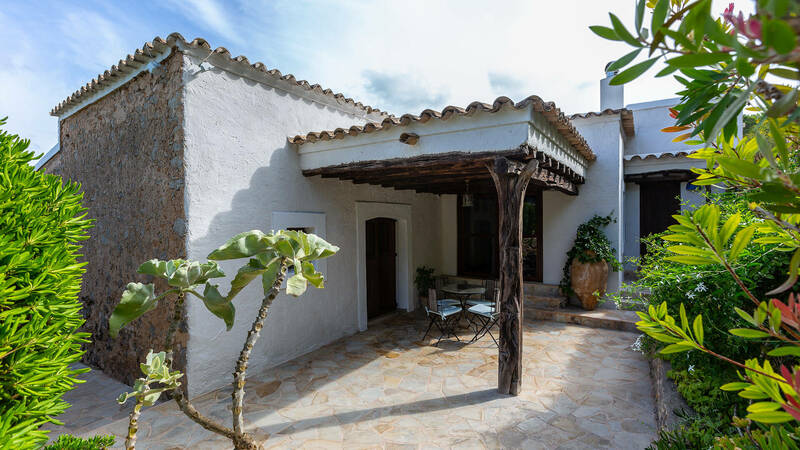 Finca composed of a main body and an independent suite with access by the garden. 10mx5m swimming pool with waterfall. Summer kitchen, outdoor dining area with barbecue.